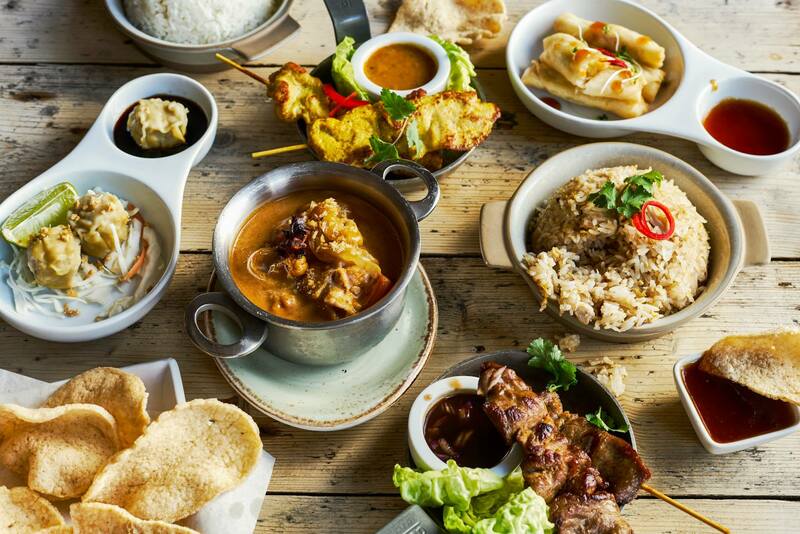 Growing family of award-winning restaurants with an emphasis on staggeringly good Thai food. Our idea is to cook simple, rustic, fresh Thai food. We wanted a menu that people could eat like they do at home. In Thailand, mealtimes are all about lots of dishes that everyone shares. 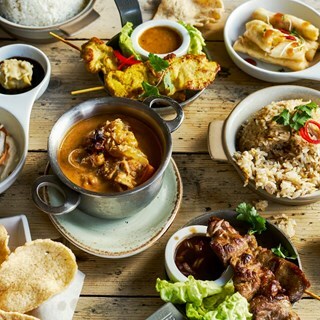 You can eat our super popular Thai Tapas Sets for lunch. In the evenings we serve lots of original dishes, alongside more unusual Thai flavour combinations. We hope you enjoy Giggling Squid, and feel at home in our funny, quirky little restaurants - well some of them are not so little now, but our approach is still the same. Great food and helpful staff, accommodating with talking through the menu and pampering to our 1 year old daughter. Thank you, we will definitely be back. Excellent food, very good value. Only disappointment was when an item ordered for my daughter was missed and the n delivered late. However, the restaurant took 10% off our bill for this mistake. One of the best meals I have had. The lamb shank massaman was delightful. I think it would be lovely if the tapas option were also available in the evening. I often avoid chains because so often as they expand and grow they lose their attention to detail and it all falls apart. I hope this doesn't happen to Giggling Squid! Excellent evening celebrating our wedding anniversary. Lovely welcome from the team combined with a glass of Prosecco on the house! Food was superb, especially the crab starter. Lovely food and really good service. First time at the Giggling Squid and will definitely be going back. I wen with a friend for dinner but would also love to try the lunch menu as the idea of Thai tapas is very appealing. We had a great meal, service was very friendly and quick and can't wait to go back! Great food and good service. Starters were a bit small. Not the cheapest place for supper but we did have a lovely evening. Lunchtime menu is exceptionally good value for money. Can recommend the Wealthy Squid option. The meal is in 4 parts which is decoratively placed on a four section plate. The duck spring roll is definitely my favorite. We celebrated our wedding anniversary and imminent arrival of our baby at Giggling Squid - what a great evening! From their friendly welcome to the scrumptious food, yummy virgin cocktails and finished with a surprise dessert from the kitchen. It was exactly what we (and more importantly my 8 month belly) were craving! Good food. Served well. They run out of wine sometimes which is a bit odd. Birthday booking: Great service, lovely food. Staff were very friendly and accommodating. Converted me to Thai food, will definitely visit again!! Most of the 'tapas' sharing food was good (salad a bit disappointing). However, the beef dish was so tough! We left half of the meat, it was just too chewy! I would say your main dishes are expensive for what they are... took a while to be served with mains as well... but lovely ambience & I love Thai food, so would like to return, if you can get better meat!